Traveling along Cambodia's highways, you could be forgiven for thinking democracy is alive and well ahead of a fast-approaching general election. Colorful billboards with party names such as Our Motherland, Khmer Rise and Dharmacracy appear alongside more familiar placards of the ruling Cambodian People's Party (CPP) and opposition royalist Funcinpec. Twenty political parties will be on the ballot come July 29 compared to just eight in the last national election, but there will be a major omission. Late last year, the Cambodia National Rescue Party (CNRP), which came within seven seats of a shock victory in 2013, was outlawed and its leader Kem Sokha was arrested over flimsy accusations of a U.S-backed attempt to foment a popular revolt. The party prohibition and ongoing incarceration of Sokha have received widespread international condemnation amid critics branding Prime Minister Hun Sen's government a dictatorship. Kong Monika, a son of former senior CNRP official Kong Korm, said there was no longer democracy in Cambodia. Perhaps paradoxically, however, Monika decided earlier this year to launch his own Khmer Will Party. The KWP is one of several minor parties that sprouted in the wake of the CNRP's dissolution. Monika said that more than 3 million voters supported the CNRP, not only because they loved former opposition leader Sam Rainsy and Kem Sokha but out of a desire for positive change. They might support his new party because it shared this sentiment, he added. However, opposition parties contesting the election have been accused by many CNRP supporters of helping Hun Sen legitimize it. Exiled CNRP officials are calling for a boycott. But Monika rejects this stance, pointing out that Sam Rainsy and Kem Sokha's former parties stood in flawed elections. Boycotting elections cut across the principles of democracy, he said. Another group running candidates is the Grassroots Democracy Party formed in 2015 by former leaders of non-government organizations and intellectuals, including popular commentator Kem Ley, whose death two years ago was widely seen as a political assassination. The party promotes grassroots involvement and wants to do away with the aggressive personality politics of the major parties. Sam Inn, GDP secretary-general, said the decision to stand was not taken lightly but non-participation would lose an opportunity to present policies to the Cambodian people and nurture a new political culture. Inn said he was aware of potential dangers if the GDP gained substantial support. "Kem Ley has already sacrificed his life for a high purpose, so there's no reason for us to stop," he said. In stark contrast to the mild-mannered approach of the GDP leadership, the firebrand leader of the League for Democracy Party (LDP), Khem Veasna, said only he could move Cambodia forward. "CNRP is not good enough to replace the CPP — that's why I am a real politician," he said. "I told the Cambodian people that ... only me." However, the LDP has failed to win a single National Assembly seat since being founded 13 years ago. While Hun Sen points to the large number of parties standing as evidence of a functioning democracy, many raise questions over authenticity. Sam Rainsy, the exiled former opposition leader, describes various small parties as "puppets" of the prime minister aimed at maintaining a facade of democracy. One that has raised suspicions is the Cambodian Youth Party due to its leader Pich Sros filing numerous courts actions against government critics, including Kem Sokha. 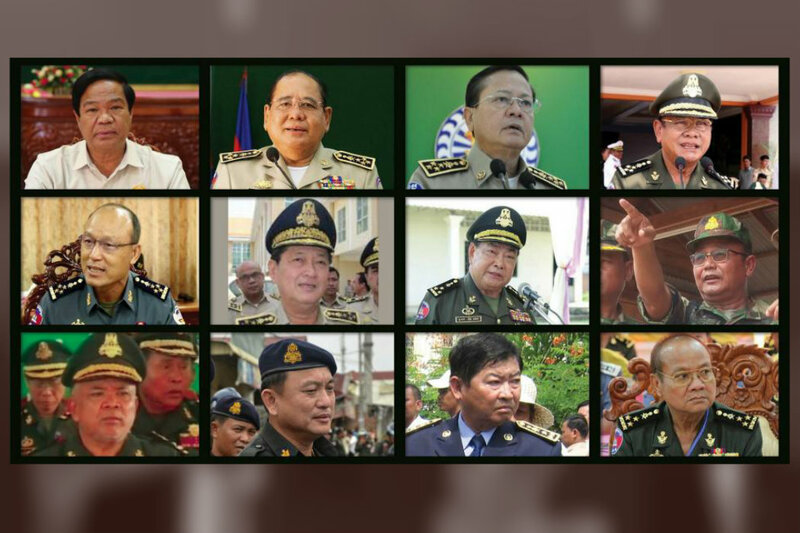 However, Pich Sros said the accusation was motived by "sour grapes" on Rainsy's part and he would demonstrate that he is not under the CPP's control. Nuon Sokhavy, leader of the New Light Party registered in August, also brushed off insinuations of CPP backing. Both the CPP and CNRP are violent parties that insult each other, he wrote in an email. Political analyst Hang Vitou doubts the credibility of some parties and believes that, while others could be genuinely motivated, there is not a suitable environment to contest the upcoming election. He was reluctant to name particular parties as being fronts for the government, but he did point to telltale signs. "Some parties only have three lines as policies and no power structure," he said. "It's just a joke."